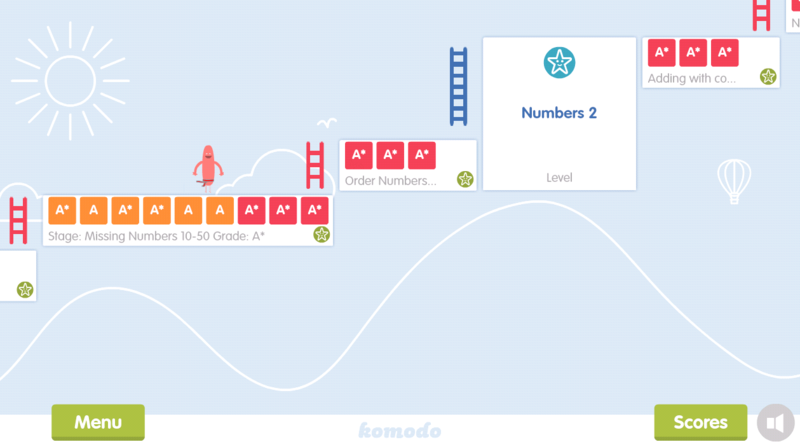 When a new learner starts Komodo, they are assigned a learning plan by one of our mathematics teachers. Find out more about how this is done here. Then when your child signs in, they'll see this intro screen. It tells children what they're working on and their grades so far. 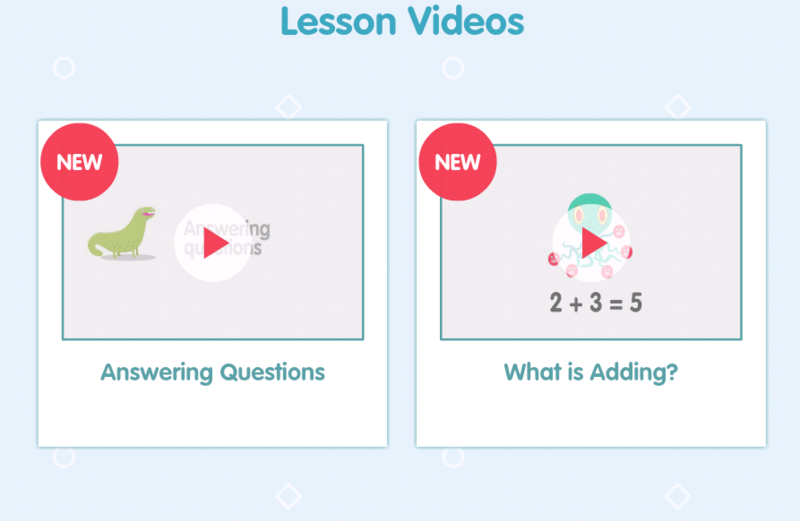 It's a good idea to watch any lesson videos before starting a new lesson as they can really help with new topics. To complete the lessons, simply select the answer from the numbers below the question and it will appear in the answer box. The dots along the bottom show how many questions you've done and how many are still to do, and the yellow bar shows how much time there is left. 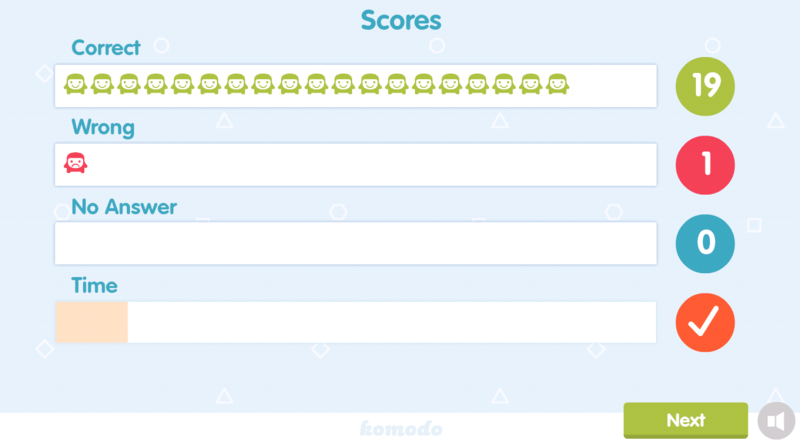 When the lesson is finished, Komodo pops up to show the grade achieved. 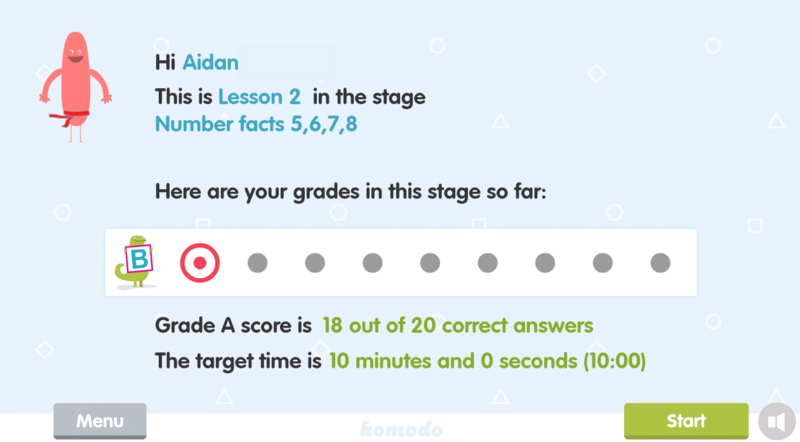 Grades run from an F through to an A. Learners can achieve a special grade, A* for completing the lesson with no mistakes inside the target time. 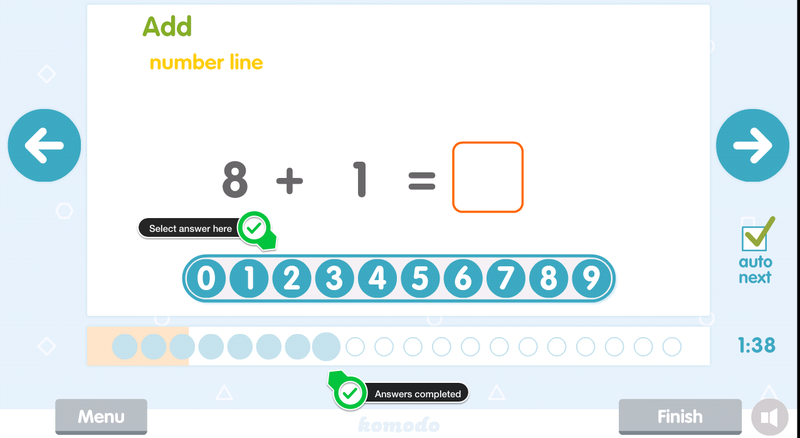 The next screen shows how many answers were correct, wrong or skipped. At this stage, learners can go back and retry any answers they have skipped or answered incorrectly. This gives children the chance to improve the grade achieved, and also is an invaluable learning opportunity. Read more about the benefits of doing corrections here. There are ten lessons in each stage, and around ten stages in each level. If learners get three A* grades in a row, they can take a shortcut onto the next stage. If the learner is finding things easy, they should pick up a few stage short cuts which will move them along more quickly. However, you can change how many A* grades they need for a stage short cut in the settings. Find out how here.